The world of supplements is vast and confusing. Everywhere there are manufacturers claiming their pill will help you lose twenty pounds fast, boost your libido, help you gain more muscle, or reduce soreness and help you work out longer. There are so many products out there, all claiming to have the solution to our problems or be ‘the next big thing’ in fitness, it can be almost impossible to sift through them all and understand what is beneficial and what is snake oil. The first thing to consider before taking any supplement is why you are interested in taking it. If you think it’s going to solve all your problems, turn around. Do not do something as foolish as attempt to buy your fat loss or muscle gains in a pill bottle. Supplements are just that – supplements. 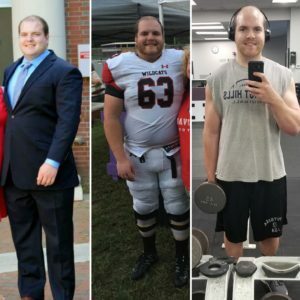 Unless you are confident that you have locked down your diet, are exercising regularly, have been seeing consistent progress over a long period of time (more than six months), and have consulted with your doctor if you have any health complications whatsoever, you have no business turning to supplements. If you are satisfied with your progress, have locked everything down, and you’re seeing good results but want to find that extra two percent, then you can start to consider supplements. You should research side effects as well as the purported benefits and make sure there aren’t any big risks to taking your supplement. A supplement will never be the difference between a beer belly and a six-pack, but the beer might be. If you want increased energy, weight loss, or muscle gains, most supplements are not for you. You need to spend time doing cardio for energy, lifting weights to make daily life easier and build muscle, and preparing healthy meals to lose weight. The only supplements you should even consider are protein powder, a multivitamin, fish oil, and vitamin D. I’ll discuss these, then look into some other supplements on the market. Protein Powder alone can get pretty complicated. Whey protein is the most widespread and most widely used, but it has some drawbacks. Many people have sensitivities to whey protein, and will get gassy or bloated after taking it. The only way to be sure if this applies to you is to try having some whey protein in a shake instead of your usual breakfast, when your stomach is empty and you’ll be more sensitive to the effects of the food you’re putting in. Whey is also highly processed, and many brands will use sugar alcohols or other sugar substitutes as sweeteners, which may also bother some people’s stomachs. Many brands will sell single serve packets, which is a great way to try a bunch of brands without breaking the bank. If whey protein gives you any discomfort, try something different. There are many options now for vegetable based proteins, made from pea protein or brown rice protein usually, which are just as effective for fueling your muscles as animal proteins. Finally, you could opt for a Paleo protein powder, made from egg or beef protein. These may be another option easier on the stomach, but it will be a bit harder to find them offline. Any of these may be a little easier on your stomach, so sample a few of these as well, and figure out which works best for you. If you know you have stomach issues and worry that any protein will cause problems, try an unflavored protein powder which won’t have any sweeteners and use fruit to make a tasty protein smoothie. When deciding what protein to buy, another consideration should be when you’re planning to take it – as a meal replacement, look for powders labeled as such, they’ll be among the other protein powders. If you do opt for milk protein, whey and casein are very different, and these too should be chosen based on purpose. Casein protein is slow-digesting, perfect for right before bed or in a meal-replacement shake. Whey protein breaks down quickly, making it optimal as a post workout shake. The vegetable proteins are slower to digest than whey, but break down slightly faster than casein, so they are a decent option any time. Multivitamins can be a useful supplement. Again, keyword supplement. Also, a word of caution. Nobody who has had cancer or currently has cancer should be on a multivitamin without expressed approval from their doctor, and if you have any other health conditions you should discuss it with your doctor as well. There has been some evidence that folic acid or folate can be a source of fuel for cancer cells. For everyone in good health however, it may be worth taking. Most people don’t get enough vegetables in their diet- only 14% of Americans get at least 5 servings of fruits and vegetables per day, and for optimal health you should be consuming 9-11 servings ideally. Multivitamins won’t suddenly transform your health, but making sure you’re not deficient in any vitamins will help you recover better and improve immune health. Understand too, that multivitamins aren’t like Vitamin C for a cold. Taking six of them will not be better for you than taking one and cure your ailments; taking too much can actually do more harm than good. Follow the dosage on the bottle and use it to supplement a healthy diet. When purchasing multivitamins, here are some labels to look for indicating good quality. USP Certified, a green and gold label, indicates the multivitamin has gone through extensive testing with the United States Pharmacopeia and you can be fairly certain it is good quality. Non-GMO is another good label, which means the nutrients come exclusively from plants that were not genetically modified. Most multivitamins are fairly safe, but these are good labels to indicate good quality. When shopping online, you can also look at how many reviews a product has – over 500 is a good indicator many people have tried a supplement, and the brand has stood at least some test of time. Vitamin D is another popular supplement that you may have heard of before reading this article. It’s widespread for a reason. It’s a hormone we produce when we get sun exposure, but many North Americans are deficient in it, especially people of color. This is because melanin, the pigment that makes skin darker, also repels some of the UV rays which allow us to produce Vitamin D. Because we can produce it ourselves, it is possible to get enough by modifying our lifestyles. Walking for 15-30 minutes per day in the sun can help us produce more Vitamin D, and eating foods rich in Vitamin D can help as well. A few of these are vitamin D fortified milk and orange juice, salmon, grassfed beef, pasture raised chicken eggs, mushrooms, grassfed cow butter, and cheese. We can also supplement with Vitamin D, however it is possible to take too much. There is evidence that over time 50,000 IUs per day (the measurement you will see on the supplement bottle) can become toxic, but doses of 1000-5000 IUs per day is safe. These are much higher than the RDA of about 500 IUs, but are still quite alright to ingest and have many benefits. Deficiency has been linked to lowered bone density due to reduced calcium absorption, heart disease, cancer, and depression. Getting enough Vitamin D can help alleviate all of these, and boost immune, nervous system, and brain health. The finally important supplement is Omega 3 fatty acids. There are several types of Omega fatty acids we consume in our diet, but our GMO grain-based diet has them out of balance. Omega 6 is highly prevalent in grains, and Omega 3 is not. We need to fix the balance- typically the ratio is about 16:1 in favor of Omega 6, and needs to be 2:1 or less to be optimal. The imbalance increases inflammation, reduces heart health, exacerbates cancer and arthritis, and reduces quality of life. Having these Omegas in balance reduces inflammation and improves cardiovascular health, depression, and anxiety! There are many dietary sources of Omega 3 fatty acids: grassfed beef and butter, pasture raised eggs, and fatty fish like salmon. We can also supplement with Fish Oil, Krill Oil, Algae Oil, or Flaxseed Oil. When taking a fish oil supplement, buy a liquid oil made from wild fish, and keep it in the refrigerator. This will let you smell to make sure it is fresh – if it smells bad, the fat is beginning to oxidize and you need to throw it away. Oxidized fat will do more harm than good and increase inflammation rather than reducing it. There are other popular supplements in the fitness community, typically used by athletes, powerlifters, or bodybuilders looking to get that competitive edge. If you consider yourself one of those, then the following supplements may be relevant for you. Again, these are the kind of things that may give you an extra one or two percent performance when your habits and diet are already on point. BCAAs are one of the biggest names on the market right now, and very popular with competitive athletes and regular gym goers alike. Branched Chain Amino Acids are the building blocks of protein, and most of these supplements contain a mix of just a few amino acids hypothesized to be most significant for building muscle. Protein powder already has BCAAs in it, so these are not necessary for the average person. Because they are quick digesting, they may provide a slight boost in recovery for athletes who are exercising at an extremely high intensity for an hour or more, and should be taken slightly before the workout if they contain caffeine, or during and after if they do not. Do not take a BCAA mix with caffeine after 12pm however, because the extra caffeine will give you a spike in cortisol which will impact your sleep and stress levels, and cause your body to store more fat around the belly. Creatine is another popular sports supplement, and may be useful to both endurance athletes and powerlifters. Bodybuilders may consider it, but not near a competition, as it causes your body to store extra water. Creatine will make your muscles store more water, get a little bigger, and you will gain weight. It can help endurance athletes by providing a slight boost in buffer for lactic acid buildup by aiding in ATP production. Powerlifters will reap the benefit of gaining a little more weight and muscle volume aiding in their heavy lifts. It won’t help people trying to lose weight, but it may provide a slight edge for competitive athletes. Typically, athletes should take about 5-10 grams of creatine daily with their protein shake, and will see a slight boost in strength after a couple of weeks. 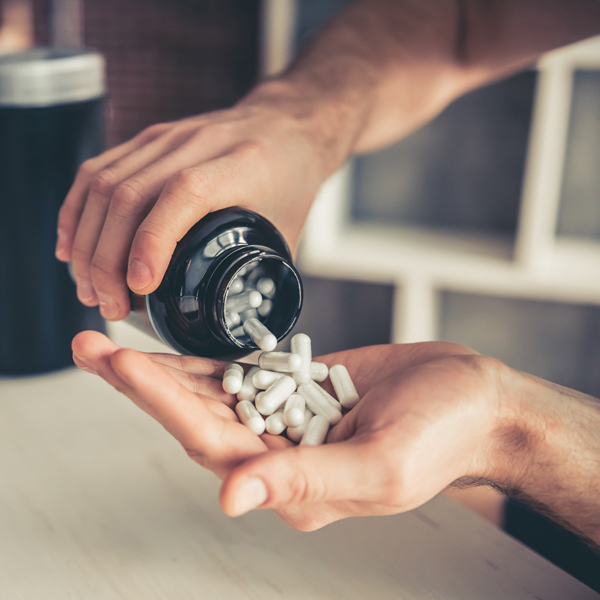 There is some evidence that creatine may be unsafe for individuals taking medication that poses any potential for harm to the kidneys, so if you are on medication, talk with your doctor before taking creatine. Beyond these, optimizing your body’s recovery by minimizing inflammation and eliminating bad dietary or lifestyle habits are your best bet. Stay tuned next week for my presentation and subsequent paper on inflammation to learn what to avoid and what to add to your diet.